A handful of business schools in the world are famous in their respective countries of origin, but have also achieved global acclaim for their sustained and continued success as world-class academic institutions. 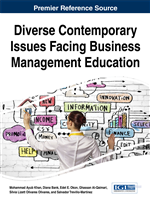 This chapter describes some of these business schools and includes successful factors that have made them top quality institutions, such as general performance indicators used to rank and accredit business schools, common characteristics of success, as well as the role of ranking and accreditation as a source or force behind the fame and fortunes of such business schools. The chapter discusses the importance of national and international accreditation for the academic institutions and the pitfalls associated with accreditations. As examples of successful models, the chapter includes small success stories of business schools from emerging markets such as Pakistan and Mexico. A vision and mission in life. A clear career and life goals in mind. A love of learning—new knowledge, skills and values. A continuous search for innovative ways to do things. Enough energy, stamina and resources to face off challenging moments. Emotionally stable and socially connected. Innovation and Creativity: This means improving, adjusting, adding to, and developing new products, services, systems, process, and culture to the strategy of the organization. Value Generation for the Customers: This follows providing quality products and services at a good price to its customers. Customer Service: This implies paying attention to the needs, interests and complaints of the people who receive the products and services. Global Vision: This stands for understanding the changing environment not only of the home country, but also others across the globe, and for having a global vision that leads to flexibility and open mindedness which helps in diversifying and taking advantage of those opportunities which may arise. Efficient and Effective Use of Resources: This means to amplify the benefits of the business activities for all the stakeholders by reducing administrative expenses and managing overall business cost. People and money are two vital resources for the institution. Employee Friendly Work Environment: This asks for organizations to be stable, and culturally receptive. Organizations which are aggressive in dealing with the workforce, culturally rigid and socially disconnected may not remain in business for long or may see a quick turnover of its personnel. Adequate and Timely Use of Technology: This relates to resources and any other support, including information, communication, training, distribution, supplier, production for a maximum and productive use of technology to streamline processes. Thus, it is vitally important organizations to learn from each other´s success and failures. The same applies for an educational organization, such as a university or, more specifically, a business school´s Master in Business (MBA) program. Why are some business schools more successful, famous and respectable than others? Which indicators are frequently used to evaluate (accredit) and rank business schools? These are important questions which we will attempt to answer in this chapter.